Where can you go Shopping in Africa? 1. When you visit Ghana, be sure to visit the infamous Makola Market in the centre of downtown Accra. 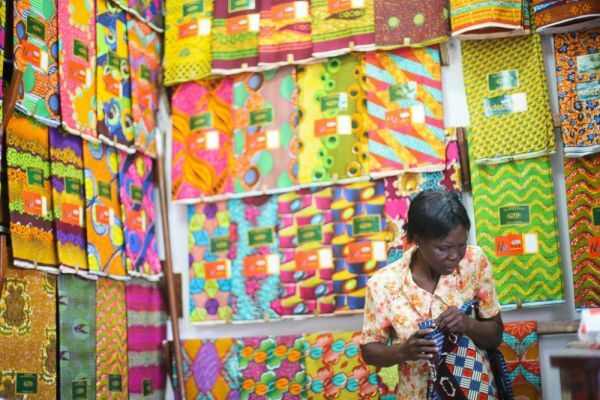 One of the busiest markets in Ghana, you can find anything from kente materials, shoes, bags and furniture. 2. Travelling through North Africa? Stop by Farouk Stambouli, one of the oldest merchants in Algeria where they sell bespoke, hand-woven blankets and rugs that will brighten up your home. 3. If you’re going to South Africa, a great place to find arts, crafts and jewellery all under one roof is at the Rosebank Market. Rosebank is the largest craft market in Johannesburg, which opens up on a rooftop on Sunday’s. 4. Looking for that Nollywood movie? Head to Idumota market on Lagos Island in Nigeria. This market is the biggest hub for getting films and music DVDs and CDs. 5. Owino Market in #Uganda, has a great atmosphere. You can buy anything from good food to second-hand clothes and televisions. Thika Road Mall in Nairobi has shops, restaurants, banks and a 7D cinema for all you film lovers. 7. City Stars Shopping Mall in Egypt gives you a truly unique shopping and entertainment experience. 8. Check out this online store http://www.africa-shops.cm , which sells everything from mobile phones to make-up delivering to a few African countries but will be surely adding more to the list! 9. Mayamiko is a women’s fashion brand in Malawi, made in Malawi by Malawians. 10. Kamsit Charles is a fashion designer based in Nigeria who makes tailored suits. He’s made suits for many Nigerian artists including Ric Hassani. Let us know where you shop when travelling the continent in the comment boxes below.